Corradi USA transforms outdoor spaces with customizable shading systems. To learn more, visit Corradi USA. 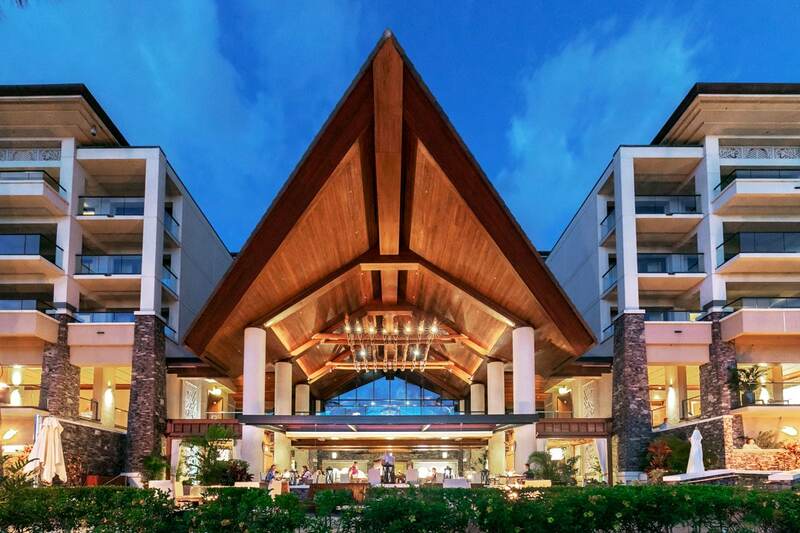 When you visit the Cane and Canoe restaurant in the Montage Hotel at Kapalua Resort in Maui, one of the first things you’ll notice, besides the ocean view, is the outdoor dining space with a levitating canopy roof—an award-winning installation. Corradi USA made this retractable shade system possible, allowing diners to enjoy their meals while protected from the sun, wind, and rain. The restaurant wanted a retractable canopy so patrons could see the sky. Installing posts in the front was out of the question because they wanted to preserve the view—this meant the canopy needed to be cantilevered. With no support posts above or beneath the structure, the engineering team first decided on heavy steel beams. But the only way to get to the dining area is through a series of stairs and narrow walkways. “The more we looked at it, there was the question of how do you expect to get the materials down there and install it,” Barnes says. “That created a huge engineering problem.” The materials needed to be lightweight, but also strong enough to support their own weight and withstand the weather. That’s why Barnes and his team chose to work with Corradi. Alberto Tanzi, president of Corradi, and his son Francesco, director of operations, are experts when it comes to awnings. The Tanzi family has been in the shading industry for generations, first running a family business in Italy and later partnering with Corradi Italy to manufacture their product for the U.S. market. The father and son collaborated with Barnes every step of the way during the project—from the custom design to the installation. There was no room for error in manufacturing. “The tolerance we had to adhere to for this project was plus or minus one millimeter—or about a fifth of an inch,” Francesco says, adding that the accuracy of the assembly had to be flawless. That’s why Corradi pre-assembled the entire structure in their Texas warehouse before shipping the parts to Hawaii. Usually Corradi doesn’t need to test their structures because their products are standardized, but they wanted to ensure this custom design fit together when it arrived. Their precision paid off—the installation went smoothly with no size adjustments needed. The final result is a welcoming space that keeps customers cool and comfortable. When deployed, the system provides an estimated 10-degree drop in temperature. Meeting the aesthetic vision of the design was no easy feat. “It’s a very high-end restaurant with a lot of fine wood finishes that no one really wanted to cut into or touch,” Barnes says. The project also required a beam two times larger than Corradi’s standard beams. Luckily, Francesco and his team are used to thinking outside the box. “When you look at the B-Space beam from the side it looks like one single tall beam, but it’s actually two separate extrusions that have plates engineered to stick them together, which provide the structural forces required to hold the unit up,” Francesco says. Barnes was concerned about how the steel beams would fit in with the high-end style of the restaurant. The steel beams would have required wood cladding, but this would have added even more weight to the structure. Fortunately, Corradi’s aluminum shading system didn’t need cladding because of its beautiful finish and high-quality powder coating. The custom beams aligned perfectly with the aesthetic. Barnes says installing Corradi’s system has definitely helped the restaurant’s business. 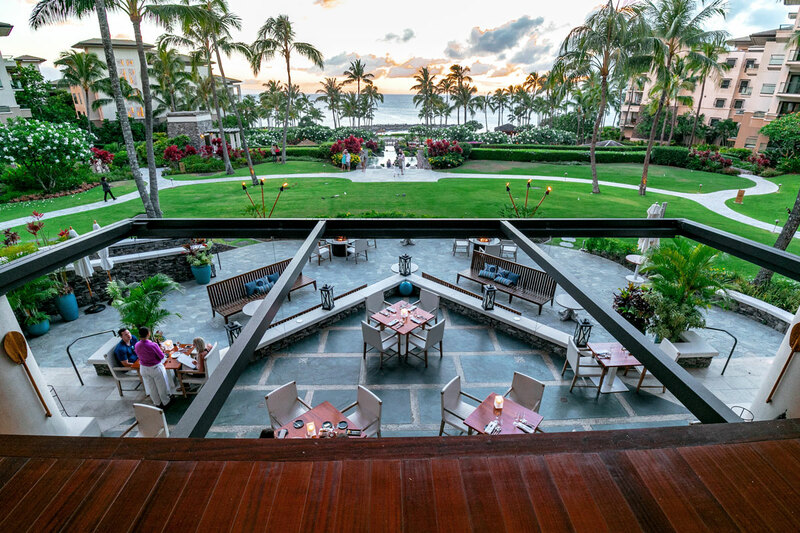 “Restaurant owners, particularly in Hawaii, don’t realize the importance of outdoor dining to their guests,” Barnes says, adding that outdoor dining areas are always the first places to fill up. It’s an investment to install an outdoor canopy, but it makes your business stand out from the rest. Of course, Corradi USA’s products can be used anywhere—from hurricane-prone regions to snowy, mountainous areas. “We have a lot of success in the national market whether it’s New York, Florida, Colorado, Canada, or Illinois,” Francesco says. Many of Corradi’s products are 100% enclosed, creating a room that can be heated or cooled. “I’ve seen heaters, fans, LED lights, TVs, and more installed in our systems,” Francesco says. In most of their products, like the B-Space, Corradi uses aluminum they get from extrusions. Any part that’s left over doesn’t get thrown away—it’s scrapped and recycled. No matter the material, Francesco says recycling is at the forefront of their company culture. Corradi also sources their wood from a company that plants more trees than they cut down. “They are net positive when it comes to the sustainability of their forest. And that’s important to us, too, because we don’t want to destroy the environment,” Francesco says. Their water mitigation strategies support sustainable design as well. “Through the customization capabilities we have, we can really give the customer all of the options for where they want the water to go based on their design,” Francesco says. Any system can be produced in a flat or pitched version, meaning that if the runners are flat, the water drains from the sides of the unit. On a pitched system the fabric is taut and the water drains off the front. You can also add guttering if you want to divert the water to a specific area. Learn more about Corradi USA and see more gb&d outdoor stories.